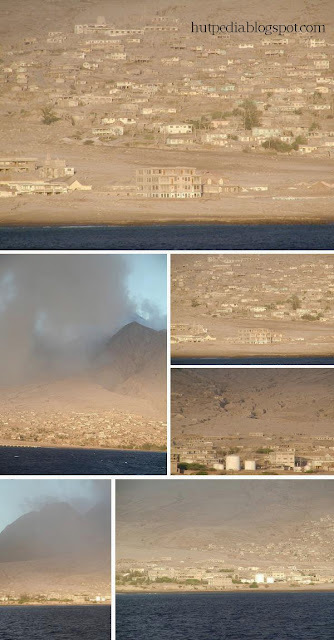 One fateful day a pleasant city nestled beneath a dormant volcano was completely destroyed when the volatile peak rumbled to life. Everyone knows the story of Pompeii in Italy, destroyed in AD 79 by Mount Vesuvius. But this was the city of Plymouth, Monserrat in 1995. 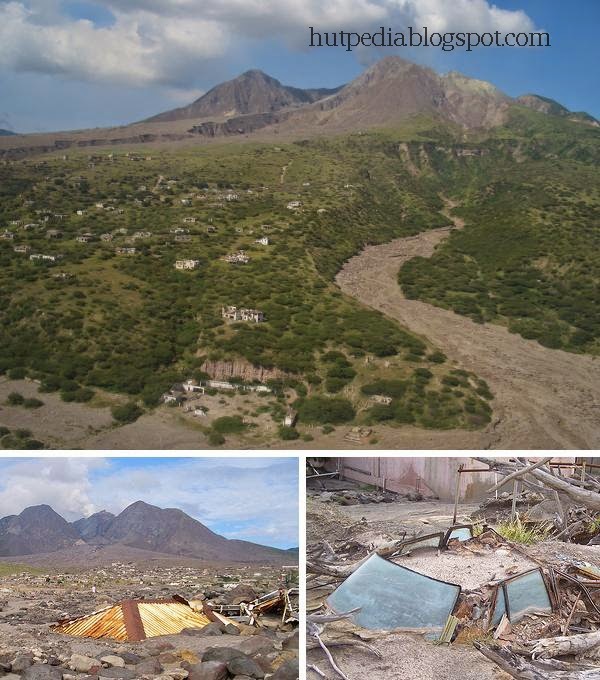 On that fateful day, Soufriere Hills volcano which had lain dormant though out recorded history exploded in an eruption of titanic proportions that consumed Plymouth under 12 metres of mud and rendered the southern half of Montserrat uninhabitable. 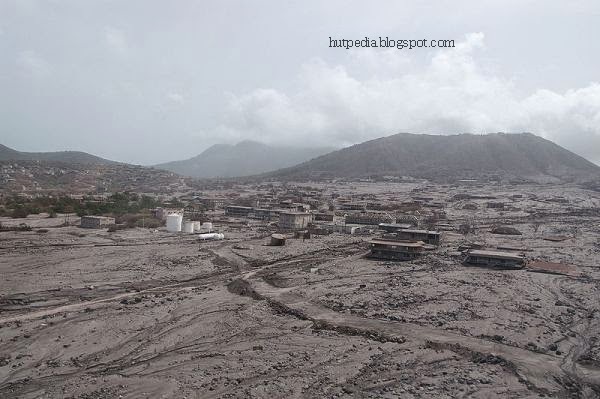 The eruption led more than half the population of Montserrat to flee abroad due to lack of housing and economic disruption. 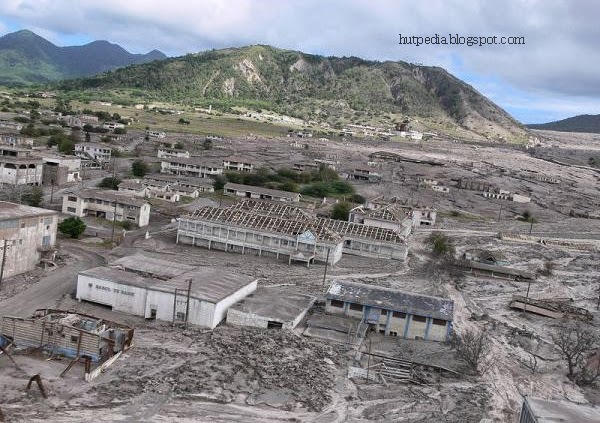 In 1997, 19 people died after being overtaken by a pyroclastic flow following another eruption. Since then, the volcano's activities have been confined to venting ash into the unhabited southern region. Buried cars and houses visible on by their roofs are a common site today amid the ruins of Plymouth. 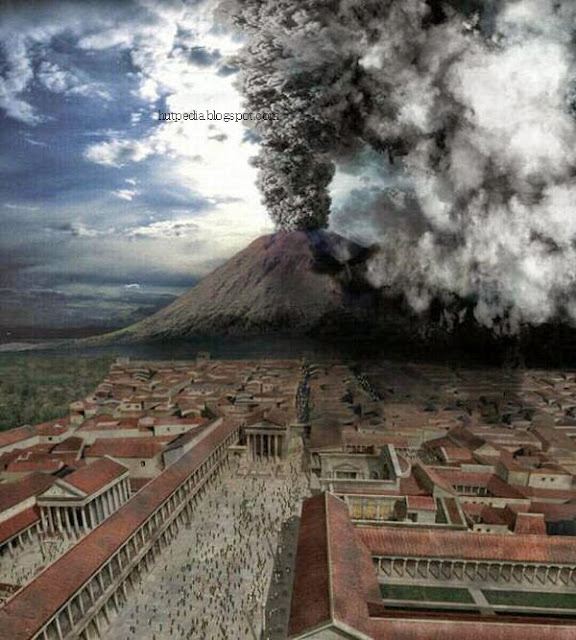 Some images depicts the fateful day in AD 79 when Mount Vesuvius near Pompeii erupted. An ancient city completely destroyed, buried by more than 60 feet of ash and pumice and lost to civilisation for more than 1,500 years. Now, after its accidental discovery in 1592, Pompeii has become a world heritage site, excavated by archeologists to reveal many of the treasures of this ancient Roman city.